Get the maximum incentive available and avoid penalties by using our full-featured EHR. Kareo has the education and tools to help you attest for Meaningful Use. Learn all about why you should participate and how to get started. Eligible professionals starting Medicare Meaningful Use in 2016 may avoid penalties. The success of your business relies on timely billing and accurate coding. Whether you’re managing the billing for one provider or 50, it’s a complex job that must meet a variety of regulations, making it easy for medical billing companies to be the target of false claims and fraudulent crimes. The results are in! Kareo conducted a nationwide survey to collect data on the current state of the independent medical practice. Respondents spanned general practice, family practice, internal medicine/primary care and more than 50 different specialties. Kareo recently conducted a nationwide survey of medical billing companies with the goal of identifying key trends and sentiments around the medical billing industry, healthcare and billing technology, and business opportunities and risks. Find out if you need to submit Quality Measures for the Medicaid Promoting Interoperability (Meaningful Use) reporting program. As 2018 is coming to a close, many independent practices are wondering what to expect in 2019. Patient financial responsibility continues to be a challenge for many practices. The Quality Payment Program (MIPs) continues to evolve. CMS is proposing changes to the way E/M visits are paid. Isn't It Time to Switch to a Better Software? Switching to Kareo is easier than you think. We'll guide you every step of the way. It’s a reality that at many independent medical practices, they don’t love their software. Providers struggle with unintuitive systems that add to their workload. Billers are frustrated with subpar claims and payment management features. Managers are sick of logging into multiple platforms to do their jobs. But it’s too hard to switch software providers, right? e-Prescribing should be used, because the majority of patients have come to expect that convenience. Learn more about how e-Prescribing can improve patient satisfaction. Enrollments can be a complicated process and one of the primary barriers to getting paid. Independent medical practices and their billing partners will benefit from a streamlined and efficient enrollments process to remove barriers that block timely reimbursement. Surveys show that most patients are interested in telemedicine appointments and would prioritize increased access to care over in-person interaction with providers. Do you have telemedicine? This is a question you’ll get more frequently now that public and private reimbursement is opening up. Patients are coming to expect this care delivery method, and new technology makes it easier than ever to offer video visits. Physicians may feel they are working at high speed, but looking at what they are actually doing minute to minute reveals important details. Kareo’s all-in-one medical practice management and clinical care software solution has been ranked the highest in customer satisfaction, according to the G2 Crowd Grid® for Medical Practice Management, a comprehensive report released by G2 Crowd. Martin serves as Campaign Manager at Kareo. What’s the key to success for new practices starting out in this competitive healthcare market? According to Westgate Skin & Cancer: efficiency. Risk adjustment plays a significant role in Medicare Advantage contracts, commercial capitated payment arrangements, and CMS alternative payment models such as shared-savings contracts and accountable care organizations. The CMS released the proposed rule for the 2018 Quality Payment Program. Let's take a look at the proposed rule for next year and see how practices can prepare for the changes that may come in the second year of the program. Ten years ago artificial intelligence (AI) in healthcare was only realized in movies and sci-fi specials. Today the AI movement has caught up to reality and day-to-day healthcare in a big way. These days, there’s no shortage of payers in the healthcare marketplace, and many physicians choose to contract with those that pay the highest rates. But is it the right approach when trying to expand the practice? Workflow, much like technology, is a powerful form of leverage that can work for or against you. For practices experiencing patient leakage it means you’re losing current patients to other facilities or services. When you understand what makes up a thriving practice, you quickly realize that it’s the staff that drives that success. Your practice manager will be one of your most valuable assets. With patients taking on more of the financial burden for their own medical care, providers will do well finding ways to make their practices more patient-centered. Explore best practices for optimizing your patient collections process. Learn about critical elements that you could implement to propel your patient collections process to the next level. MACRA rule laid out the Quality Payment Program (QPP) which consolidates previous CMS incentive programs into a single program that began on January 1, 2017. Here is an overview of the Quality category, which replaces the PQRS program. With MIPS, you can “pick your pace”. This is what determines your timeline and level of participation and reimbursement. Find out about your options. Get answers to come of the common questions about medical billing changes coming in 2017. Is Your Practice Ready for a Meaningful Use Audit? Find out what you need to know to be prepared for a Meaningful Use audit. Elizabeth Woodcock shares a preview of medical billing changes coming in 2017. 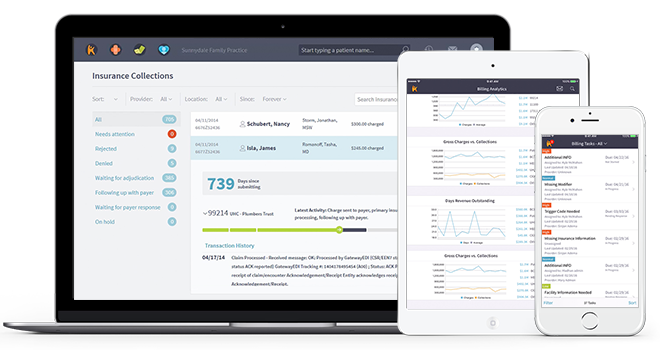 Kareo is an all-in-one, integrated technology platform that streamlines patient and business management workflows. This progress checklist is designed to assist the Eligible Professional (EP) in tracking Meaningful Use CQM objectives during a reporting period. MACRA is coming. Find out From John Lynn what this might mean for small practices. ICD-10, device-generated data, value-based payments, and EHR compliance were just a few of the timely topics discussed during AAPC HEALTHCON 2016. Meaningful Use Hardship Exemption Deadline Extended - Again! If you weren't sure you could get your Meaningful Use hardship exemption application in by March 15 to avoid the 2017 penalty, you now have more time. The February Kareo Getting Paid Newsletter provides some updates on medical billing and Meaningful Use for 2016. Expert Barbara Drury provides tips on applying for a hardship exception to avoid the Meaningful Use penalty if you aren't able to attest for 2015. Kareo's Meaningful Use Audit Checklist helps you complete the items you need to support your Meaningful Use attestation. Kareo's Meaningful Use Checklist is designed to assist the Eligible Professional (EP) in tracking Modified Stage 2 measures during a reporting period. What the Heck is Going On with MU? What the heck is going on with Meaningful Use? Is it ending or not? Find out what you need to know in this post from expert Beth Onofri. Kareo Clinical is here to help you through the Meaningful Use attestation journey. Download our Meaningful Use Implementation Guide to get started. The December edition of the Kareo Getting Paid Newsletter has the latest updates on getting paid in 2016, 9 upcoming medical billing changes, and top billing and health IT predictions for 2016. Wondering what 2016 holds for the independent practice? Experts share their predictions for what is to come next year in medical billing and health IT. The Business of Medicine in 2016: Where Are We Headed? Healthcare is going through a transformation to the business of medicine. Learn more about these changes and what you can do to prepare for them in 2016. On October 6, 2015 CMS released the long awaited Meaningful Use final rules for 2015 through 2017. Here are the highlights. After much speculation about what would be included, the proposed rules for Stage 3 of Meaningful Use have been released. Here is an overview of the proposed rules. Since its inception, Meaningful Use has had detractors. 2014 appears to be the year that many practices decided it wasn’t worth their effort. That doesn't mean it hasn't done some good. Kareo can help you to understand why you should participate in Meaningful Use and how to get started. 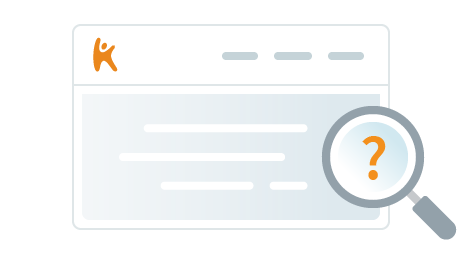 Get the maximum incentive while avoiding penalties by tracking your progress in real time using the Kareo MU Dashboard. Confused about CMS Incentive Programs? Get Help from a Kareo Expert! What Is New with MU? On October 6, 2015, CMS published a final rule that specifies criteria that EPs must meet in order to participate in the Medicare and Medicaid Electronic Health Record Incentive Programs. The final rule’s provisions encompass 2015 through 2017 (Modified Stage 2) as well as Stage 3 in 2018 and beyond. Can MU only be done if you have a certified EHR? Yes. It is a program specifically designed to provide incentives and avoid payment adjustment for meaningfully using a certified EHR. The incentives are intended to help offset the cost of purchasing and maintaining an EHR. 2014 was the last year that an EP could join the Medicare program and still receive incentives. Medicare EPs can still join the program in 2015, 2016, or 2017 to avoid future Medicare payment adjustments. If an EP has elected to join the Medicaid EHR program, incentives are still available for 2015 and 2016. How can a provider avoid penalties? In CY 2015, new participants who successfully demonstrate meaningful use for this period and satisfy all other program requirements will avoid the payment adjustments in CYs 2016 and 2017 if the EP successfully attests by February 29, 2016. In CY 2016, new participants who attest prior to October 1, 2016 will avoid the payment adjustments for CY 2017 and CY 2018. If new participants attest between October 1, 2016 and February 28, 2017, they will avoid the CY2018 payment adjustment. In CY 2017, new participants who attest prior to October 1, 2017 will avoid the payment adjustment for CY 2018. In CY 2015, returning participants who successfully demonstrate meaningful use for this period and satisfy all other program requirements will avoid the payment adjustment in CY 2017 if the EP successfully attests by February 29, 2016. In CY 2016, returning participants will avoid the CY 2018 payment adjustment if successfully attested by February 28, 2017. Are the vendors allowed to opt out of certification for any of the years? For example, they were certified for 2011 but not for 2012 but certified again in 2013? The vendors' EHRs are certified for the stages of MU broken into 'editions'. So, if they were certified for Stage 1 with their 2011 Edition then they are certified for the years in which you can attest to Stage 1 before January 1, 2014. Same goes for Stage 2. A vendor could opt to not certify for Stage 2 with a 2014 Edition, or for Stage 3 with a 2015 Edition even after certifying for Stage 1 with a 2011 Edition. Vendor plans for Stage 2 would be something to ask about in your selection process. At the same time, keep in mind that certification includes not only the MU measures but also the Clinical Quality Measures the vendor chooses to have certified. You want to be sure that the EHR you choose is certified for clinical quality measures that are a fit with your practice specialty. How is MU reported to CMS? Your EHR should provide the ability to generate reports that show the data needed to report on quality measures for MU to CMS. Once you have the data, the EP registers on the CMS site and manually types in the 'answers' for the objectives. The 'answers' MUST be as reported by the certified EHR technology but there is not an electronic connection between your EHR and the CMS attestation program. I have one physician who uses paper charts while seeing patients but also uses the EHR program. Is he still eligible? If the physician qualifies as an EP, enrolls for MU, and is entering the data needed to meet the requirements then he or she can attest to MU. Since MU requires that many measures be tracked it may not make sense to be documenting in both a paper chart (where there is no incentive benefit) and in the electronic record. How does this incentive work if the individual physicians work within a managed services arrangement (MSO)? The incentive is paid to one tax ID per physician, so the employed physician and the MSO would need to review their contracts to see if the employed physician must (or has already agreed to) assign payments, including EHR incentives to the MSO tax ID. If not, in the attestation process, the employed physician may determine the tax ID to which the incentive should be paid. Where do the funds come from to incentivize physicians to participate in MU? This program was passed as part of the American Recovery & Reinvestment Act of 2009. The incentives are paid for by Medicare and Medicaid and funded through the federal and state governments. All of the money comes from our taxes as part of the federal budgeting process. The term “structured data” typically implies that a piece of information has been entered into a specific field within the electronic health record. For instance, if there is a field for blood pressure and you enter 120/80, the ‘120’ and the ’80’ are structured data. If a field in the EHR is structured data, then there are 'rules' about what you could type into that field. For example a "date" could be an 8 numeric character field meaning you could only type 04242013, NOT April 24, 2013. If a field is un-structured, you could type anything—letters, numbers symbols, spaces, etc. Structured data is easier to find, to sort, and to count and move between systems. We are using a couple of EMR's. I see folks in nursing homes, hospitals, skilled nursing facilities. Where do I qualify for the incentives? There are some guidelines for how you qualify for MU if you are seeing patients in more than one location. There must be a certified EHR at the location, and you must spend at least 50% of your time at that location and the measures are only looking at patients where the POS billing code is either 11 (office), 20 (urgent care facility), 49 (independent clinic) and 24 (Ambulatory Surgery Center). So you would need to do an analysis of the places where you see patients and determine which location fits the requirements. For more details, visit www.cms.gov. What if a provider is new and does not start his new practice until 2016? You should get started as soon as possible. New practice EPs get a two year grace period without the penalty kicking in. For more details, look at www.cms.gov because eventually the penalty does take effect if the new EP is not participating as a Medicare meaningful user. If the MD was previously billing at a hospital for 90% of the year can the MD be considered as an EP? No, if the provider sees most of his or her patients at a hospital and the billing is done through the hospital using place of service codes not approved for EPs, then that provider is not eligible to be an EP. The hospital may be eligible, however. If the physician is office based in the new calendar year and meets the requirements, then he or she may be able attest to MU for EPs. To attest, the physician needs to have 90 days of reporting and meet any other minimum requirements for time spent at the service location, number of patients seen, etc. Can NPs, PAs, PTs, OTs, SLPs, or social workers qualify for MU Medicare incentives? None of these can qualify for Medicare incentives. The one exception to this is the case of a PA or NP who is the primary provider and/or owner of a rural health clinic. Mid-level providers (NPs) can qualify for Medicaid incentives. However, to do so requires that the provider have a minimum of 30% of their visits billed to Medicaid. EPs in a pediatric practice must only meet a 20% Medicaid visit threshold to receive 2/3 of the Medicaid incentive that an EP who has 30% or more Medicaid visits earns. Do you have to ‘register’ for each new stage and if so how does one register? If you are enrolled as an EP for Stage 1, you are already enrolled for future stages. If you still need to enroll, visit the EHR Incentive Program website. There are tools to assess eligibility and to enroll along with timelines and all the details of the program. If we switch EHR’s after we attested for Stage 1, will we be penalized for using a new EHR for the next year? No, you will not be penalized for changing to a new EHR. What matters is that the new EHR is 2014 certified. What are the changes for 2016? The previous measure structure of core and menu objectives has been replaced with 10 objectives, including one consolidated public health reporting objective. The objectives are the same regardless of what year of attestation you are in. Why has CMS changed the objectives of Stage 1 and Stage 2? Do I need to look for a new EHR? The Modified Stage 2 objectives require all providers to use an EHR that is certified to the 2014 Edition. Kareo was certified in March 2014 and this certification will be valid through 2017. What is the 2015 Reporting Period? In 2015 only, the EHR reporting period for all providers will be any continuous 90-day period between January 1, 2015 and December 31, 2015. Does the reporting period change for 2016 and forward? Beginning in 2016, the reporting period for all providers will be based on the calendar year. Any provider who is attesting for the first time will report on any 90 consecutive days. All returning providers will attest for the full calendar year—365 days. When can I begin my attestation reporting for 2015? The CMS Attestation System will be open from January 4, 2016 through February 29, 2016. Anyone who is attesting for the 2015 calendar year must attest during this time frame. Are there any considerations if I already began working on meaningful use in 2015? Allowing providers who were previously scheduled to be in a Stage 1 EHR reporting period for 2015 to use a lower threshold for certain measures. Allowing providers to exclude for Stage 2 measures in 2015 for which there is no Stage 1 equivalent. What are the 10 Objectives? Have any of the objectives changed from previous measures? Patient Electronic Access (VDT): The threshold for the Stage 2 objective for Patient Electronic Access measure #2 has been changed from 5% of the patient population to “equal to or greater than 1 patient seen by the provider”. This means that only 1 patient will need to view, download, or transmit their medical information via the Patient Portal. Have the Clinical Quality Measures changed with the Modified Stage 2 rules? No, the clinical quality measures are unchanged. Providers still need to report on 9 CQMs. If I was planning to attest to Stage 1, Year 1 in 2015, will I still be considered in Stage 1 in 2016? No, unlike the previous rules, all providers will be on Modified Stage 2 regardless of their previous scheduled stage and year. The previous rules stated that a provider shall participate in each stage for a minimum of two years. In order to ease the transition, Modified Stage 2 does allow for some alternate exclusions for providers who intended to participate in Stage 1 in 2015. The Modifications to Stage 2 include alternate exclusions and specifications for certain objectives and measures for providers that were scheduled to demonstrate Stage 1 of meaningful use in 2015. Note: alternate exclusion reporting continues in 2016 for CPOE (all providers) and eRx (for eligible hospitals) only. What are the goals of Stage 3? What are the Stage 2 Objectives? Is the Kareo EHR certified for Meaningful Use? Yes, Kareo EHR is 2014 Edition certified by the Drummond Group. This certification is valid through 2017. Kareo's CMS EHR Certification ID is: A014E01NDGFDEAD. Are there any additional charges for using the Kareo EHR to achieve Meaningful Use requirements? No. We do not charge for any additional fees other than the month charge for using the Kareo EHR, v3.0 or associated Meaningful Use services. Kareo charges a one-time small set-up for implementation of e-prescribing of controlled substances. Optional services, which are not required for Meaningful Use, are available for a nominal fee. These services include custom template development and private Meaningful Use Coaching. What should providers be doing right now? Sign up for Kareo’s EHR and start working with a Kareo Customer Success Coach. Start the Boot Camp plan which includes an individual workflow plan to help you start activating features such as Patient Portal and immunization registries, training your staff to collect the data, and engaging patients now. If an eligible professional (EP) needs advice on MU, who should they contact? Providers should contact Kareo Support. There are dedicated members trained in Meaningful Use to answer your questions. If an eligible professional (EP) needs advice on MU, who should they contact? Providers should contact Kareo Support. There are dedicated members trained in Meaningful Use to answer your questions. We are currently on another EHR and getting ready to transfer to Kareo EHR. Will my information needed to attest be transferred over? If you are currently working in a reporting period and have not yet attested, we recommend you stick with your existing EHR until the attestation is complete. If you plan to switch in for 2016, it may be necessary to work with both systems for a time, particularly since in 2016, the reporting period will be for the full calendar year. You will want to transition to be ready for January 1, 2016. How have the CQMs changed with the 2014 Edition? Regardless of your attestation year, you must attest on nine (9) of the 19 clinical quality measures (CQMs) that Kareo has certified. These must cover at least three reporting domains. Kareo is certified to all the CMS suggested adult CQMs and pediatric CQM sets. What Clinical Measures does Kareo currently have? Kareo is certified for 19 CQMs with the 2014 Edition. Providers regardless of attestation year will use the same group of CQMs for attesting. Click the resources below to be taken to external websites for additional information. Website: www.kareo.com, Address: 3353 Michelson, Suite 400 Irvine CA 92612, Contact Name: Beth Onofri, Advisor, Healthcare Market, Email: beth.onofri@kareo.com, Phone: 949-509-2472. Any additional types of costs that an EP, EH, or CAH would pay to implement the Complete EHR’s or Health IT Module’s capabilities in order to attempt to meet meaningful use objectives and measures. Developers must also include any material product technical or contractual limitations. Refer to the Drummond Group Mandatory Disclosure Statement document for more details. EHR technology self-developers are excluded from this requirement. The monthly subscription fee for Kareo Clinical (Kareo EHR v. 4.0) includes all tested and certified modules listed above with exception of a one-time small set-up for implementation of e-prescribing of controlled substances. For a detailed explanation of costs and limitations, click here. For information on Kareo’s patient API, click here. Optional services, which are not required for CMS Incentive Programs, are available for a nominal fee. These services include custom template development and private CMS Incentive Programs coaching.